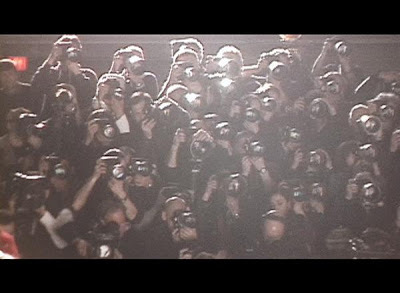 "Cameras at the end of the runway" ~ still from Picture Me. It has been a while since I posted on the vacuousness and exploitation of fashion photography and the photographers who traffic in it. Today I came across this review/interview of a new documentary Picture Me by model turned filmmaker Sarah Ziff in The Guardian. Are you surprised?